Her offence was to unwittingly sell a goldfish to a 14-year-old boy taking part in a trading standards ‘sting’. Instead, the great-grandmother was taken to court, fined £1,000, placed under curfew – and ordered to wear an electronic tag for two months. The prosecution of Mrs Higgins and her son Mark is estimated to have cost taxpayers £20,000 and has left her with a criminal record. Mark, 47, was also fined and ordered to carry out 120 hours of unpaid work in the community. Last night, as an MP criticised the magistrates, Mrs Higgins – who has run the pet shop for 28 years – said the family’s eight-month ordeal had left them traumatised. The seven-week curfew imposed by the court means she is unable to babysit her great-grandson at his home or go to bingo sessions with her sister, and will be unable to attend a Rod Stewart concert after tickets were bought for her by her nephew, actor Will Mellor. Her son said: ‘I think it’s a farce. What gets me so cross is that they put my Mum on a tag – she’s nearly 70, for goodness’ sake. Mr Higgins claimed the undercover operation was a clear case of entrapment – when a person is encouraged by someone in some official capacity to commit a crime – and said the case should never have gone to court. He added that his mother almost fainted in the dock when magistrates told her she could go to prison for the offence. Under the Animal Welfare Act 2006 it is illegal to sell pets – including goldfish – to children under the age of 16 unless they are accompanied by an adult. Pet shops must also provide advice on animal welfare to buyers. The maximum penalty is imprisonment for up to 12 months, or a fine of up to £20,000, or both. 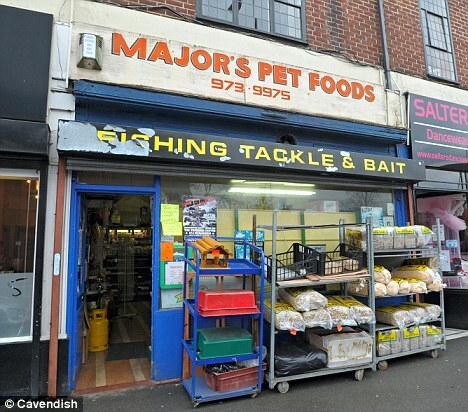 The Higgins family’s ordeal began when council officials heard that Majors Pet Shop in Sale, Greater Manchester, was selling animals to children. They sent the 14-year-old schoolboy into the shop to carry out a test purchase and Mr Higgins sold him the goldfish without questioning his age or providing any information about the care of the fish. A council officer in the shop at the time also noticed a cockatiel in a cage that appeared to be in a poor state of health. A vet found the bird had a broken leg and eye problems. It was later put down. Mrs Higgins and her son were charged with selling the fish to a person aged under 16 and with causing unnecessary suffering to a cockatiel by failing to provide appropriate care and treatment. Pleading guilty, Mrs Higgins told Trafford magistrates the cockatiel had not been for sale and she had been bathing its eye daily. She had intended to take it to the vet but had been distracted and worried because her other son was in hospital. The court heard that Mrs Higgins had possessed a licence to sell animals for many years and had never had any problems before. She was fined £1,000 and given a community order with a curfew requiring her to stay home between 6pm and 7am for seven weeks. Mrs Higgins did not have her licence to sell animals removed, but both she and her son were told that if they ever appeared in court for a similar offence they could face a jail sentence. David Davies, Tory MP for Monmouth, said: ‘You simply couldn’t make it up. It is absolutely ludicrous that old ladies should be hounded through the courts and electronically tagged for something like this. ‘At a time when courts are being told not to lock up career burglars we have them issuing severe punishments like this on little old ladies.’ Mr Davies, who has served as a special constable for three years, said: ‘Not only is it traumatic for her but it is a complete waste of time and taxpayers’ money. It is ridiculous. Trafford Council said it launched an investigation after an unsubstantiated complaint that the shop had sold a gerbil to a 14-year-old girl with learning disabilities. The council claimed the animal later died after the child placed it in a disposable coffee cup with a plastic lid on top. But the complaint did not form part of the legal action in court and its truth cannot be verified. Mrs Higgins said the shop had not stocked gerbils for months before the complaint anyway. Defending the goldfish case, Iain Veitch, head of public protection at Trafford Council, said: ‘The evidence presented for this conviction clearly demonstrates that it is irresponsible to sell animals to those who are not old enough to look after them. The goldfish was later adopted by an animal welfare officer and is in good health. 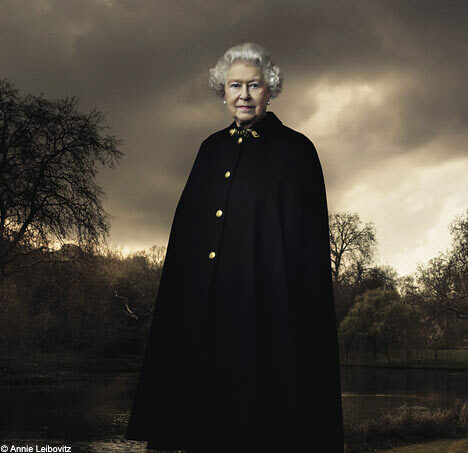 Will the Queen stop a second election? Brown could cling on as premier even if Tories win. The Queen could step in and block a second General Election this year in the event of a hung Parliament, to prevent Britain spiralling into an economic crisis. Her action would force parties to work towards a coalition government – rather than having to fight another election campaign. The Queen’s potential involvement, which is allowed under ancient conventions, has emerged in extraordinary behind-the-scenes preparations in Whitehall. There are serious fears that Britain faces its first hung Parliament since the 1970s. Economists say a prolonged period of turmoil after an unclear election result could result in a devastating collapse in confidence in Britain’s ability to repay its vast national debt. To prepare, the Civil Service has drawn up a blueprint for action. For the first time they will give opposition parties access to advice from officials in an attempt to speed up a coalition deal. The period between polling day and the point at which a minority administration would face a potentially terminal vote of no confidence is to be extended by six days, giving more time for a power-sharing agreement. And conventions allow the Sovereign to decline a request from a prime minister heading a minority government for a dissolution of Parliament and a quick second election. If the Queen is advised that a general election would be ‘detrimental to the national economy’, she can refuse to allow one. The monarch is not bound to accept such a request, especially when such a request is made soon after a previous dissolution,’ says guidance drawn up by Cabinet Secretary Sir Gus O’Donnell. Because of the bias against them in the electoral system, the Conservatives need a poll lead of around ten points to be sure of defeating Labour with an overall majority. Polls pointing to a narrower result have prompted mandarins to produce the first set of guidelines for senior civil servants on what happens in the event of a hung Parliament. Even if the Tories are the largest party, but fail to secure a Commons majority, Gordon Brown will remain Prime Minister until he resigns, Whitehall sources say. Officials who have held detailed discussions with the Queen’s private secretary, Christopher Geidt, say it will be up to Mr Brown to decide when to resign. He will have the right to make the first attempt to soldier on as head of a minority government by coming to an arrangement with smaller parties, including the Liberal Democrats. Ted Heath remained in office over the weekend after the general election on February 28, 1974, despite winning four seats fewer than Labour, as he made unsuccessful attempts to form a coalition with the Liberals. Mr Brown would be barred from making major policy announcements until a stable administration could be formed. If he fails to reach an agreement with smaller parties, David Cameron would then be allowed to make similar overtures to the Liberal Democrats and others to try to form a viable minority government. At more than 12 per cent of national income, the UK’s deficit is on a par with that of Greece, which has been plunged into a deep financial crisis and social unrest. A similar loss of confidence in Britain, experts fear, would trigger a run on the pound, drive up interest rates and undermine the recovery. In the worst-case scenario, our gold-standard AAA credit rating on the international markets would be downgraded, massively increasing the cost of financing our debt. 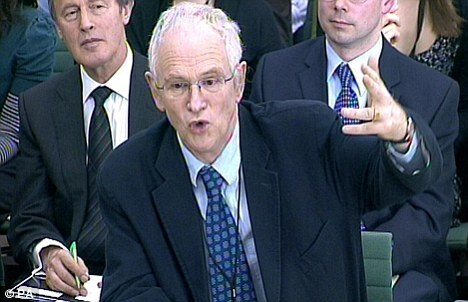 The university at the heart of the Climategate email row had an ‘unacceptable’ culture of secrecy and may have broken Freedom of Information laws, MPs will say today. An official inquiry into the leaked emails from the University of East Anglia calls for greater openness from global warming scientists about their research and data. But it cleared researchers at the university’s Climatic Research Unit of wrongdoing and said there was no evidence they manipulated data to strengthen a case for man-made global warming. The inquiry was launched after the Daily Mail revealed in November how hundreds of emails sent from CRU researchers showed scientists plotting how to avoid responding to Freedom of Information requests, and appeared to show researchers discussing how to manipulate data. MP Phil Willis, chairman of the Science and Technology Committee, blamed university bosses for encouraging ‘a reprehensible culture of withholding information’. However, the report said the focus on the CRU and its director, Professor Phil Jones was ‘largely misplaced’. The report said climate scientists must in future publish all their raw data and methods to ensure the research is ‘irreproachable’. Much of the criticism of CRU by sceptics has focused on an email in which Prof Jones talks about using a ‘trick’ to ‘hide the decline’ in temperature records sourced from tree ring data in the 1960s. But the MPs said the phrases were colloquialisms and did not represent a systematic attempt to mislead. The report also said that Prof Jones’ actions in not releasing data and his methods for drawing conclusions were in line with those of other climate scientists – but that those practices needed to change. ‘Climate change is a matter of global importance,’ Mr Willis said. The MPs said much of the responsibility for failing to disclose information in response to FoI requests lay with the University of East Anglia, rather than its small Climatic Research Unit. They said the inquiry had found ‘prima facie’ evidence that UEA supported the culture at CRU of not disclosing information, and of instances where information may have been deleted to avoid disclosure. Mr Willis said UEA should have challenged what was going on at CRU, ‘rather than work with them to deny these people information’. And the MPs called for further investigation of whether the Freedom of Information Act had been breached, following indications from the Information Commissioner that it may have been, but that the time limit for a prosecution had been exceeded. CHANTILLY, Va. — No one has been charged after an American Eagle flight from Chicago to Ronald Reagan Washington National Airport was diverted to Dulles International Airport because of a report of a suspicious passenger, officials said Tuesday. American Eagle spokesman Tim Smith said Flight 4117 landed safely with 45 passengers aboard around 11:50 p.m. Monday. Greg Soule, a Transportation Security Administration spokesman, said the agency was notified of “a passenger acting unusually” and then rerouted the flight to Dulles, a sprawling airport about 26 miles from the nation’s capital. Reagan is just across the Potomac River from Washington, D.C., not far from the Pentagon and the offices of several government contractors in Arlington, Va.
Smith said someone on the ground contacted the airline about concerns on the plane. He described that person as “someone who had some level of knowledge of the situation” but was not a crew member. He said the airline then alerted authorities and the crew, which investigated and concluded the plane could continue to Reagan because it was not a high level of concern. But just before arriving, the TSA told the crew to land at Dulles, Smith said. TSA and law enforcement officials interviewed and cleared all the passengers, Soule said. No hazardous materials were found on the plane. Rob Yingling of the Metropolitan Washington Airports Authority said airport police and other agencies investigated, but nobody was charged. Smith said most passengers left the airport on their own, while others were offered transportation. The aircraft was inspected and sent back to Chicago empty. Some passengers who were scheduled for a 6 a.m. flight Tuesday on the plane from Reagan were put on other flights, Smith said. “Stalin brought us up to be loyal to the nation, inspired us to labor and great deeds.” In August 2009 Moscow unveiled a refurbished metro station decorated with an inscription heaping praise on Stalin, sparking outrage from opposition and human rights groups. Here are some details about Moscow’s metro system, which was one of the greatest prestige projects of dictator Josef Stalin. Two female suicide bombers killed at least dozens pf people on two packed Moscow metro trains in the morning rush hour on Monday, officials said. The current death toll makes it the worst attack on Moscow since February 2004, when a suicide bombing killed at least 39 people on a metro train. — Construction of the Moscow Metro began the 1930s. The first line opened in May 1935 between Sokolniki and Park Kultury with a branch to Smolenskaya which reached Kievskaya in April 1937. — Construction continued throughout the 1930s and throughout World War Two. As Moscow was besieged in late 1941, the metro stations were used as air-raid shelters. — The Council of Ministers moved its offices to the platforms of Mayakovskaya station, where Stalin made several public speeches. — The Koltsevaya (ring) Line was planned first as a line running under the Garden Ring, a wide avenue surrounding the border of Moscow’s city center. The first part of the line – from Park Kultury to Kurskaya (1950) – follows this avenue, but the rest of the ring line was modified to connect to nine intercity train stations in Moscow. — The stations on the Arbatsky (or Arbat) line, constructed during the Cold War, were planned as shelters in the event of nuclear war with the United States. — During the late 1950s, the architectural extravagance of new metro stations was significantly reduced, under the orders of Nikita Khrushchev. — He championed a more simple or standard layout, which quickly became known as “Sorokonozhka” or “Centipede” due to the columns aligned in rows down either side of the platform. — During this period, stations differed from one another only in the color and design of tiles used. Most of these stations were poorly built. — In the mid-1970s, architectural extravagance was restored, and original designs once again became popular. — Construction of new stations continues to this day, as does restoration of the original stations, such as Mayakovskaya. — The marble used in the Moscow Metro was brought from all over the former Soviet Union from places including the Ural Mountains, Altay, Central Asia and the Caucasus. — Black marble from the Urals, Armenia and Georgia decorates the walls of the Byelorusskaya, Ploshchad Revolutsii, Elektrozavodskaya and Aeroport stations. Deep-red marble from Georgia adorns the Krasnye Vorota metro station. — The Moscow Metro has 298.8 km (185.7 mi) of route length, 12 lines and 180 stations; on a normal weekday it carries over 7 million passengers. — In August 2009 Moscow unveiled a refurbished metro station decorated with an inscription heaping praise on Stalin, sparking outrage from opposition and human rights groups. Will U.S. troops march past posters of Stalin? Posters of Josef Stalin may be put up in Moscow for the first time in decades as part of the May 9 observance of Victory Day – the annual celebration of the defeat of Nazi Germany. 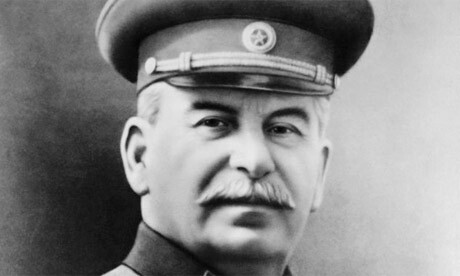 MOSCOW (AP) — Posters of Josef Stalin may be put up in Moscow for the first time in decades as part of the May 9 observance of Victory Day — the annual celebration of the defeat of Nazi Germany. This year, the 65th anniversary of Germany’s defeat, a contingent of U.S. troops is expected to march on Red Square, a striking sign of vaunted “reset” of American-Russian relations. The debate comes amid rising concern that Stalin is being quietly rehabilitated as memories of his reign of terror fade. Last year, old Soviet national anthem lyrics praising Stalin were restored to a rotunda in a Moscow subway station. The World War II victory came at appalling cost to the Soviet Union — at least 27 million of its citizens are estimated to have died. The toll feeds Russia’s self-image as a nation of exceptional valor and any criticism of its wartime role sets off resentment. Stalin’s case is especially touchy: should Russians honor him for leading the country’s glorious sacrifice, or denounce him for his decades of brutal rule included sending tens of millions into labor camps? 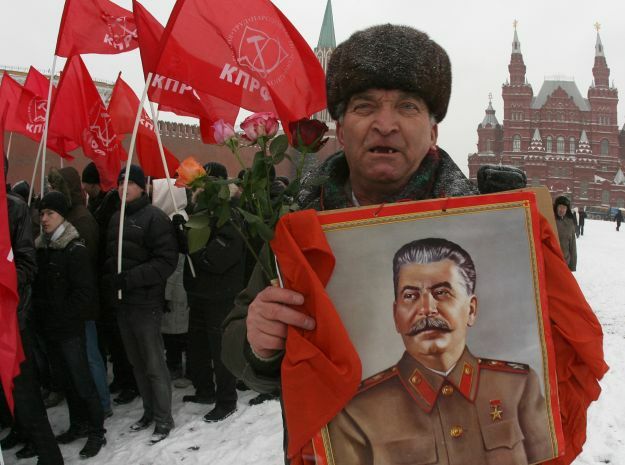 Moscow Mayor Yuri Luzhkov believes Stalin should get his due as the Soviet commander-in-chief. “How did people go into the war? … They went to war with the cry ‘For the homeland! For Stalin! '” Luzhkov said on state TV news channel Vesti on Sunday. A major veterans’ organization agrees. “The veterans of Moscow condemn repression, but at the same time value the results achieved under the command of Stalin,” the state news agency RIA Novosti quoted Vladimir Dolgikh, head of the Moscow Public Veterans Organization, as saying. Moscow authorities have said there will only be a few posters of Stalin and that they will be at information booths where veterans gather for the commemorations. That appears to make it unlikely that American troops would march under the steely gaze of the dictator, but even proximity to Stalin may unsettle diplomats. The U.S. Embassy declined to comment on the issue. Britain has announced it will send a military contingent but the Foreign Office declined to discuss the posters. However, opposition ranges from human-rights organizations to the highest levels of national power. The Kremlin committee organizing the national observances says it won’t issue any Stalin posters, according to Russian news reports citing a committee source. The reports said that decision should be considered as a recommendation to the city authorities not to put up posters. The Moscow mayor’s office declined to comment to The Associated Press on Wednesday, and the head of the national organizing committee could not be reached. President Dmitry Medvedev and Prime Minister Vladimir Putin haven’t weighed in on the issue, but the head of Putin’s dominant United Russia faction in parliament strongly denounced the plans. The respected human rights group Memorial has appealed to Medvedev to prevent the posters. The head of Russia’s Communist Party meanwhile thinks Luzhkov will cave in to pressure from above. “I’m not convinced that the Moscow authorities have the courage to realize this idea,” Gennady Zyuganov told RIA Novosti.